It all started when Jordi Roca decided to bring back the traditional dessert trolley of El Celler de Can Roca, which was dispensed with when he took over the sweet part of the menu. When they saw the new petit‑four trolley designed by Andreu Carulla, the Roca brothers thought it would be fun to stroll around the streets of Girona offering these petits fours to passers-by. 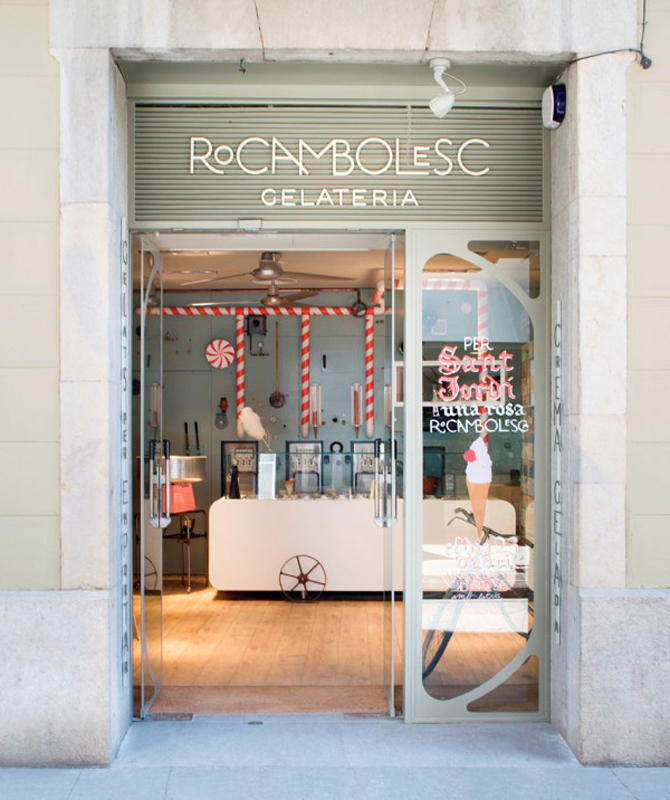 Though it was an exciting idea, they were faced with the restrictions imposed by local regulations, so they decided to showcase it in an ice cream shop that they opened in the centre of town: this is how Rocambolesc was born. 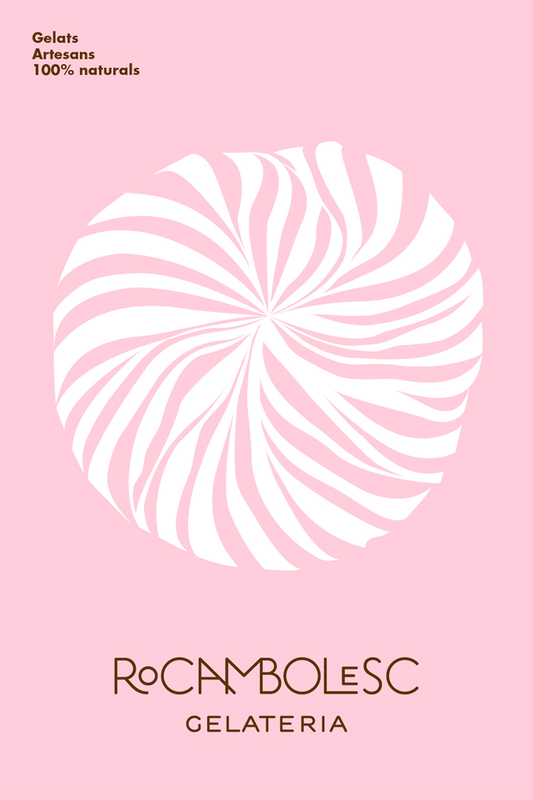 Rocambolesc is intended to be a window to the cuisine of El Celler de Can Roca, to invite the public at large to come taste ‘what’s cooking’ in the restaurant; this is a place to experience the sweet sensations of El Celler. 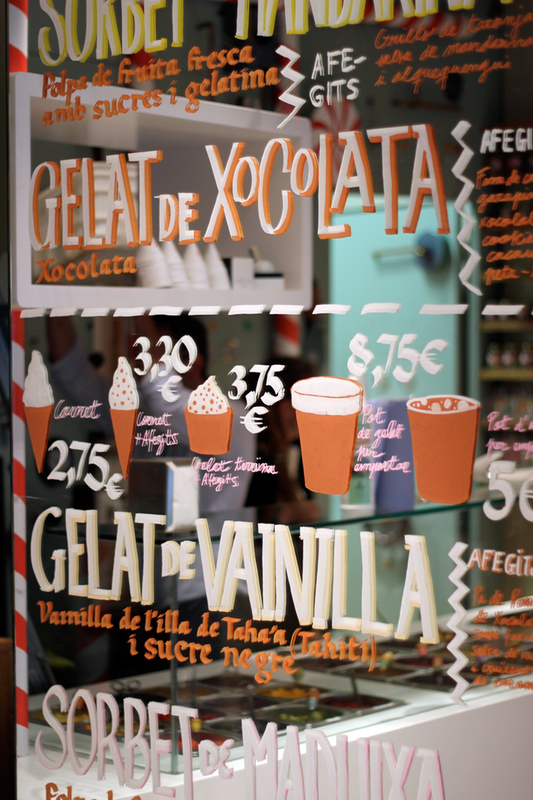 This is why, besides freshly‑churned ice creams, made with natural products, you can find books and fragrances, sweets and desserts, that you can eat as you walk down the street or take home. The vintage feel of the establishment, inspired by the magical world of Willy Wonka, the fictional character that owns a chocolate factory in Roald Dahl’s children’s book and Tim Burton’s movie, is the work of Sandra Tarruella’s Interior Architecture design firm and the graphic design firm Run, which is also responsible for the corporate identity and the packaging. 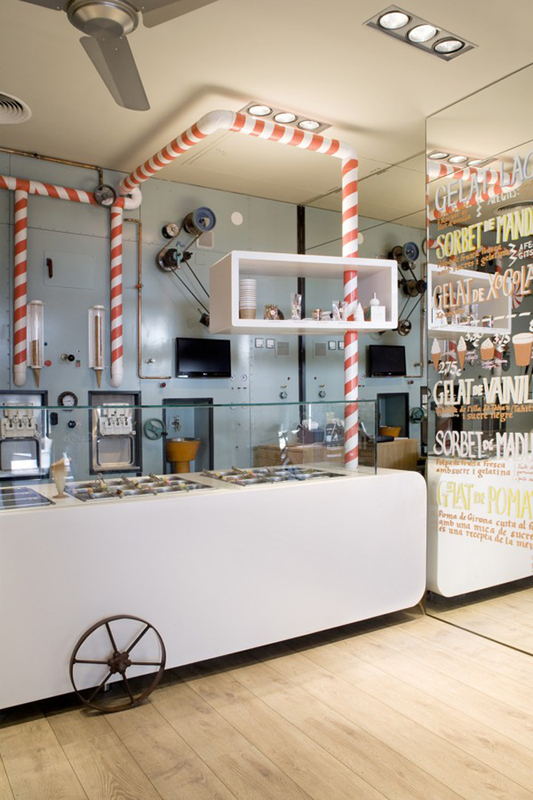 Ice creams are the essential product on offer: six different flavours, in cones or tubs, combined with up to 34 funny toppings, so that you can make your own ice cream to suit your taste. Besides, new products are created throughout the year: hot ice cream-filled buns, ice-cream muffins, etc. We also offer desserts with the ice creams and ingredients that we use at the restaurant, following the original recipe, such as the famous milk dessert, in a special take‑away kit that everyone can prepare and taste home: a whole kit that includes cotton candy, guava, milk caramel, sheep’s milk yoghurt and local Ripollesa sheep’s milk ice cream.